I’ve gotten to the point where everything I use on my face on a daily basis is handmade by me, which is pretty exciting. I’m often asked about my skincare routine — what products I use, how often I exfoliate, etc. So today, I’m sharing my 100% natural skincare routine with you! 1. Cleanse: Twice a Day. Every morning and evening, I wash my face with my all-natural homemade face wash. Our skin is constantly attracting dirt, excreting waste, and shedding dead skin cells, so it’s important to keep up with it by cleansing twice a day, especially if you wear makeup. If you don’t wash your makeup off in the evening, it will clog your pores and result in acne. My mild facial cleanser is made with castile soap, jojoba oil, rosewater, and lavender essential oil (I’ve also begun to add a few drops of tea tree oil to it). It contains no harsh surfactants, so it doesn’t strip away my skin’s natural oils. Instead, the jojoba oil and castile soap combine to gently remove dirt without drying out my face. 2. Tone: After Washing. Immediately after I wash my face, I follow up with my Rose + Tea Facial Toner. Many people skip toners and astringents and go straight to moisturizing, but this is a crucial step in my skincare routine. Using a toner clears up any dirt left behind by my cleanser, restores my skin’s natural pH level, tightens my pores, and hydrates. 3. Moisturize: After Toner. Once the toner dries on my skin, I follow up with either my homemade body & facial oil or homemade shea butter facial cream. Recipes for both of these will be in my natural beauty eBook! Sign up for my emails to be notified when it launches. 4. Exfoliate: Once a Week. To get rid of dry skin cells, I’ll use one of my salt or sugar scrubs — I’m really digging my Vanilla Sugar Scrub right now — or if I need something gentler, I go with my oat & cornmeal facial scrub. I exfoliate once a week — any more than that would be too harsh on my skin. 5. Mask: Once or Twice Week. Depending on my skin’s needs, I use one of my clay face masks 1-2x a week. If it needs an extra dose of vitamins, I use my Chocolate or Rose Facial Masks. If it’s on the oily side or I have a few blackheads, I take care of ‘em with my Charcoal Facial Mask. Or if I have an extra avocado laying around, I whip up my Avocado Hair & Face Mask. What does your skincare routine look like? Do you make any of your own products? 1. Chocolate Irish Car Bomb Cupcakes with Guinness & Bailey’s via Poor & Pretty. I’ve updated this recipe so the cupcakes are even more moist and delicious! 2. 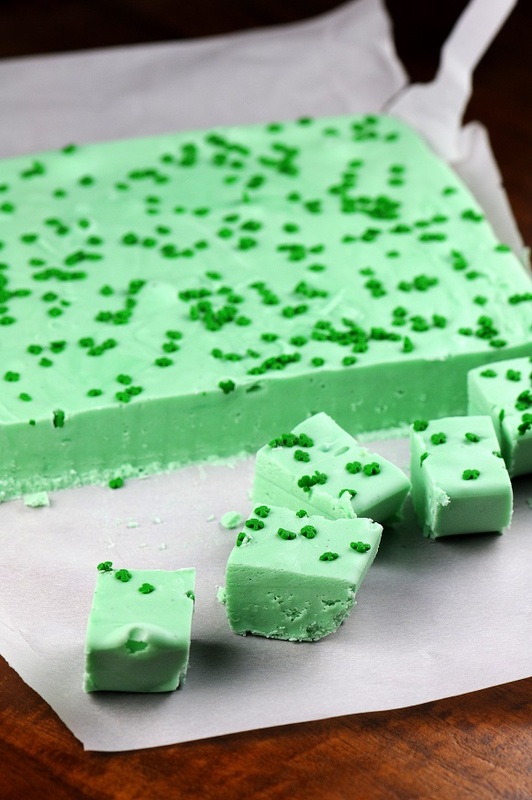 Drunken Grasshopper Fudge via Culinary Concoctions by Peabody. 3. 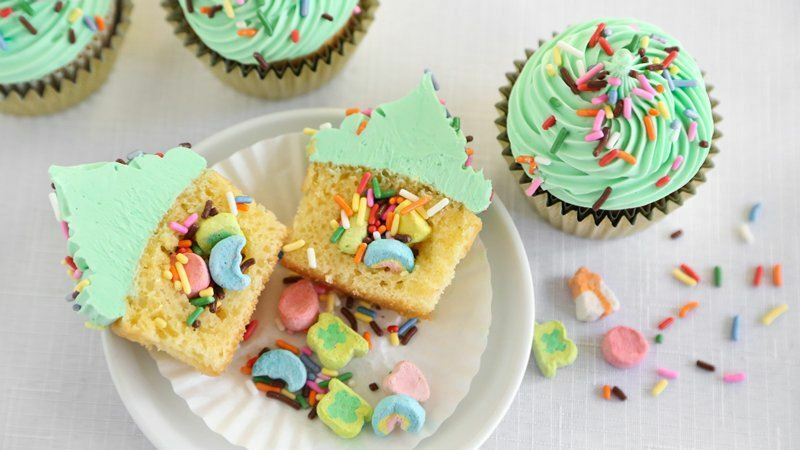 Surprise-Inside St. Paddy’s Day Cupcakes via Betty Crocker — these are safe for kids! 4. 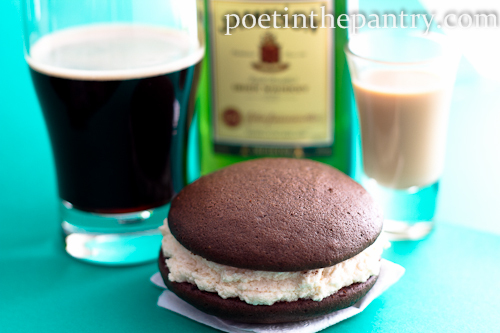 Guinness Whoopie Pies with Irish Cream Filling via Poet in the Pantry. 5. Goldschläger Candy Gems via Brit + Co.
6. 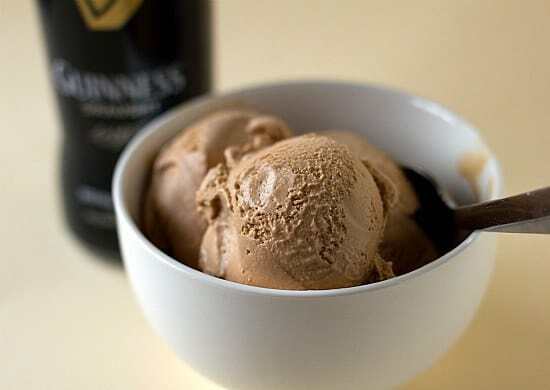 Guinness-Milk Chocolate Ice Cream via Brown Eyed Baker. 7. 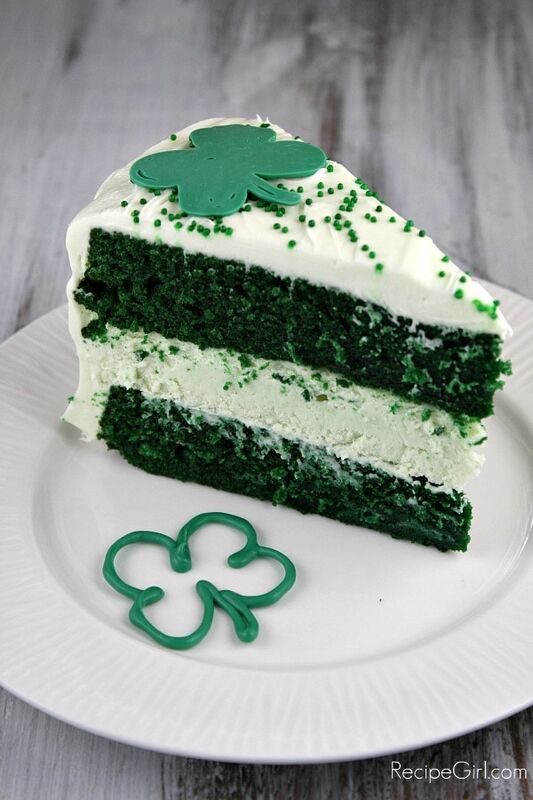 Green Velvet Cheesecake via Recipe Girl. 8. 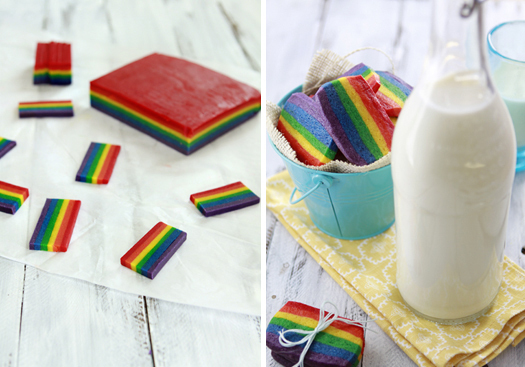 St. Patrick’s Day Rainbow Slice and Bake Cookie via Good Life Eats — safe for kids! 9. 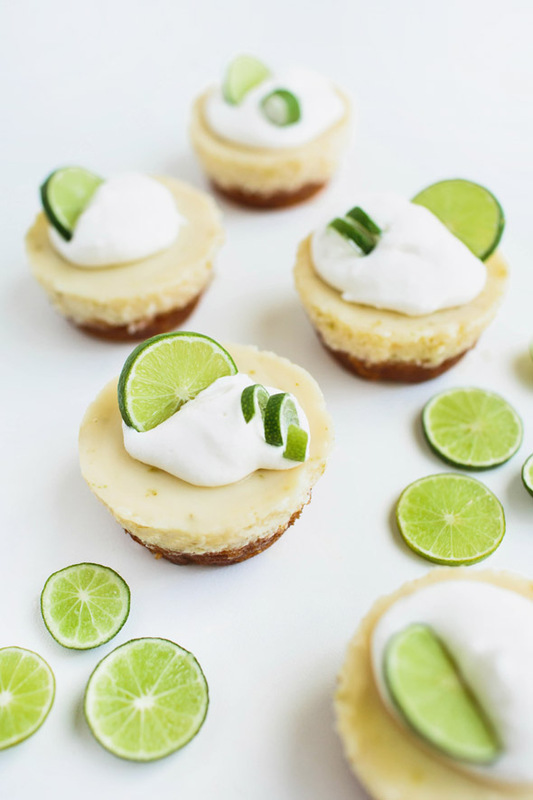 Mini Key Lime Pies via Say Yes — safe for kids! And now for the drinks! 10. Hot Chocolate Stout Float via BHG. 11. Midori Limonata Cocktail via Brit + Co.
12. Pixie Stix Martini Cocktail via Tablespoon. 13. 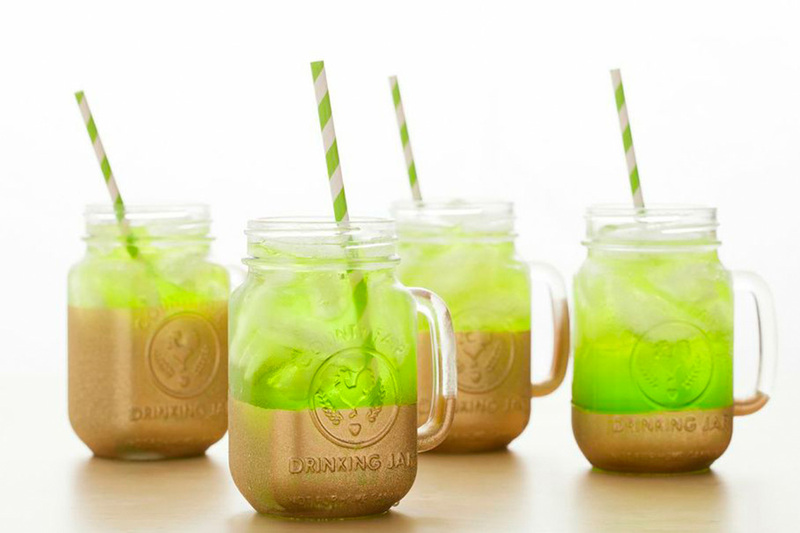 Pot of Gold Cocktail via Glitter Guide. 14. 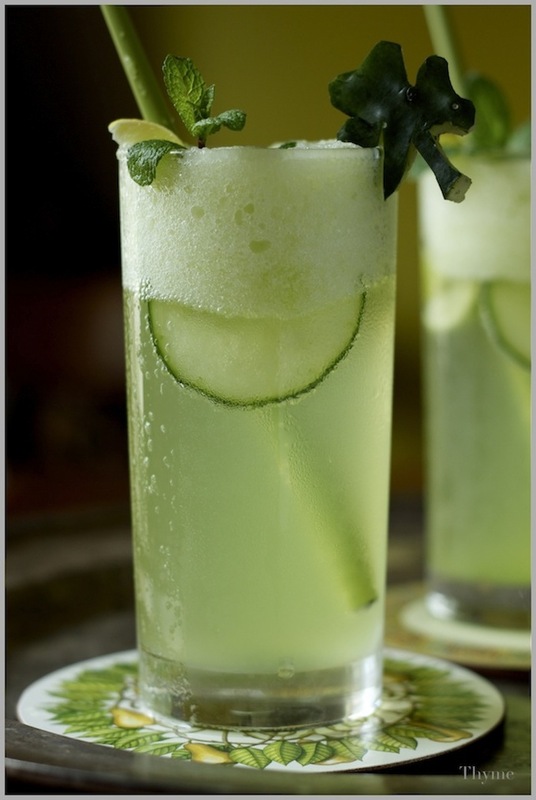 Honey Dew Cucumber Mint Mojito via Thyme. 15. 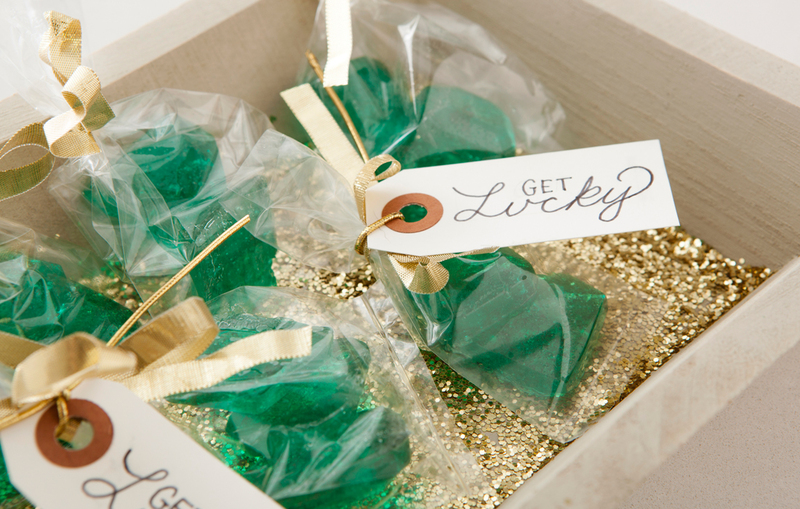 Lucky-tini via Coastal Companion. 16. Paleo Irish Cream Mocha Pudding via Plaid & Paleo — this drink is vegan & paleo! 17. Lucky-tini Jelly Shot via Tablespoon. We’re getting into the homestretch of Valentine’s Day, so I’m breaking out a classic with a bit of a twist. Not only are these strawberries covered in chocolate, I also added caramel and sea salt into the equation. Oh yeah; they’re incredible. And easy to make even if you don’t have a double boiler or fondue-maker (I have neither). 1 cup of chopped melting chocolate or chocolate chips — I used half Godiva melting chips and half mini chocolate chips. ¼ cup caramel sauce – I bought mine from Hillhome Country Products at a local event. 1. Wash strawberries, then lay them out on a few paper towels to dry for a few minutes. Chocolate doesn’t stick very well to wet strawberries. 2. Fill a small pot with about an inch and a half of water, then insert your heat-safe glass, making sure not to get any water inside the glass. This will serve as your DIY double-boiler. Place this on a burner and turn it to medium-low heat. 3. Add your chocolate to the glass and stir it occasionally as it melts. 4. To make caramel and chocolate dipped strawberries, you’ll want to dip them in your caramel sauce first (it may need to be microwaved), then sprinkle them with your course sea salt (optional but oh-so-good), then freeze them for 20-30 minutes before dipping them in chocolate. If you go from caramel sauce right to chocolate, it gets a little messy. 5. Once the chocolate is completely melted (check that there are no lumps), go ahead and dip in a strawberry! I just used my hand here, but after a while, I found that the strawberries would get too heavy once they were dipped, so I started sticking them on a fork before I dipped them. 6. Place your dipped strawberries on a baking sheet or large dish covered with wax paper to let harden. Optional: drizzle with caramel sauce. 7. Enjoy immediately or stick them in the fridge or freezer for a few days. Christmas is just around the corner! If you’re still short a few gifts, here’s another quick & easy DIY gift from my crafternoon: Mason Jar Hot Cocoa Mugs. These are great gifts to make for guys, chocolate lovers, friends, or if you’ve got kiddies in school, you can make these for their classmates. 1 mason jar mug + lid – I bought mine here, but you can also find them in-store at Joann Fabrics and Michael’s. Just like those sand art things you probably made as a kid, you’re going to add each ingredient layer by layer. You’ll really only see the sugar and cocoa powder, until you fill up the remaining space with marshmallows. When you’re ready to make some, take out the marshmallows, shake up your mason jar to mix the ingredients, then use 1-2 tbs of this mixture per cup of milk. I thought you might want to include these directions on your gifts, so I made a printable for you! Download a sheet of 12 tags here. I recommend printing them on kraft card stock paper and then cutting them out with a 2¼” circular craft punch like this one Stan bought me for my confetti wall. As I was preparing to write this post, I realized the only photo you’ve ever seen of my “little” brother Chris is this one from when he was about 4. So here’s a more recent one – from his graduation from the Pre-Pharmacy program at UConn earlier this year! Not so “little” anymore, right?! Anyway, Chris loves Mint Chocolate Chip ice cream, but his birthday (October 26) tends to be a little on the chilly side. So I made him Mint Chocolate Cupcakes to celebrate his 23rd. Chocolate Cupcakes with Mint Buttercream Frosting – makes 12 regular cupcakes or about 60 minis. For the cupcakes, I used the same recipe I did for my Chocolate Dirt Cupcakes because it’s perfect and the cupcakes come out so most! 1. Preheat the oven to 350° and line your cupcake tin with paper or silicone cupcake liners. 2. Add the cocoa powder and chopped chocolate into a medium bowl and pour the hot coffee or tea over it. Whisk together until the chocolate has melted and your mixture is smooth. Refrigerate for 20 minutes. 3. In another medium bowl, mix together the flour, sugar, baking soda, and salt and set aside. 4. Once your chocolate mixture has cooled, mix in the eggs, oil, vinegar, and vanilla extract. 5. Add the flour mixture to the chocolate mixture in two parts, scraping down the sides of the bowl and whisking until smooth each time. 6. Fill each cupcake liner about ¾ of the way, then bake for 16-20 minutes. While they’re cooking, make your pudding. 7. Cool the cupcakes on a wire rack or in their tin for about an hour. 1. Cream butter with the paddle attachment on your stand mixer (or use a hand mixer) in a medium bowl, making sure to scrape the sides of the bowl a few times to get any devious clumps of butter. 2. Pour in one cup of confectioner’s sugar and mix well — again, scraping the sides of the bowl for clumps. Then, repeat with the other cup of confectioner’s sugar. 3. Mix in your vanilla extract, peppermint essential oil, and green food coloring. 4. Mix in your milk, one tablespoon at a time. 5. Add more confectioner’s sugar if necessary. 6. Frost your cupcakes and enjoy!